I paint Lake, River and Bay decor maps. Here's a new ad I came up with for the holiday's. I put it on my web site (www.leolakes.com) to help draw attention. 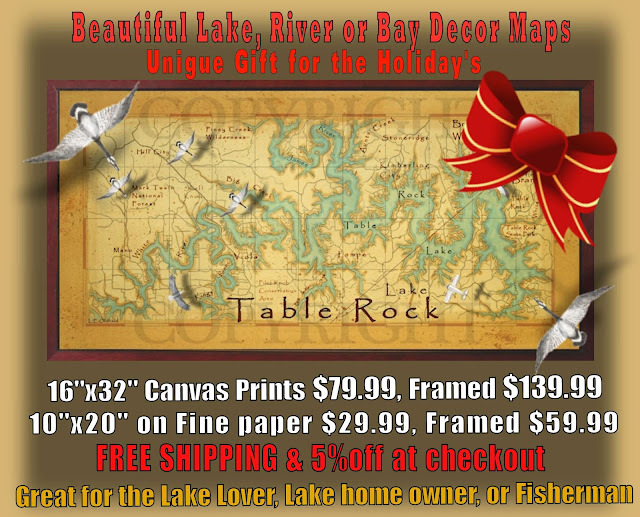 Sales pick up during the holiday and the framed canvas decor maps sell well. REMEMBER: Life is short, get away from the big screen and get on the big stream.